Imperial Troops Have Entered the Base | Spaceship! Spaceship! Spaceship! Flickr user markus19840420 brings us this incredible diorama of the rebels’ secret Echo Base on the ice planet Hoth. The scenes in The Empire Strikes Back were achieved with a vast set built at Pinewood Studios, which lent the base a sense of credibility in its myriad details and tangible grittiness. All qualities this LEGO version reproduces perfectly! 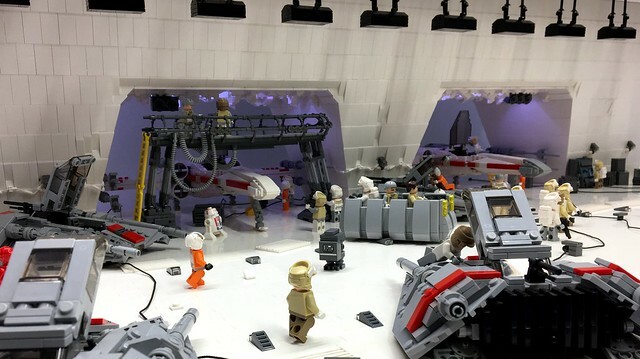 This entry was tagged diorama, MOC, star wars. Bookmark the permalink.